The rumored Samsung Galaxy Tab 3 tablets are expected to make an appearance later this month – right in time for MWC 2013, and the GT-P3200 is one of them. With a screen of 7 inches in diagonal, it is likely the least capable of the bunch, but that might result in the tablet being the most affordable as well. 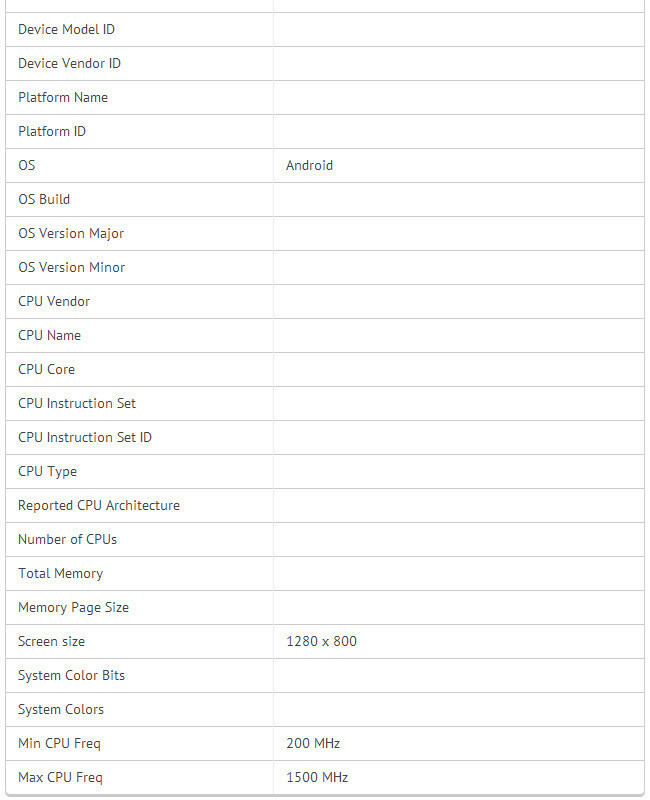 Too bad that we don't yet know what the Galaxy Tab 3 tablets will have to offer in terms of specs, but leaks are now gradually filling all those blanks for us. 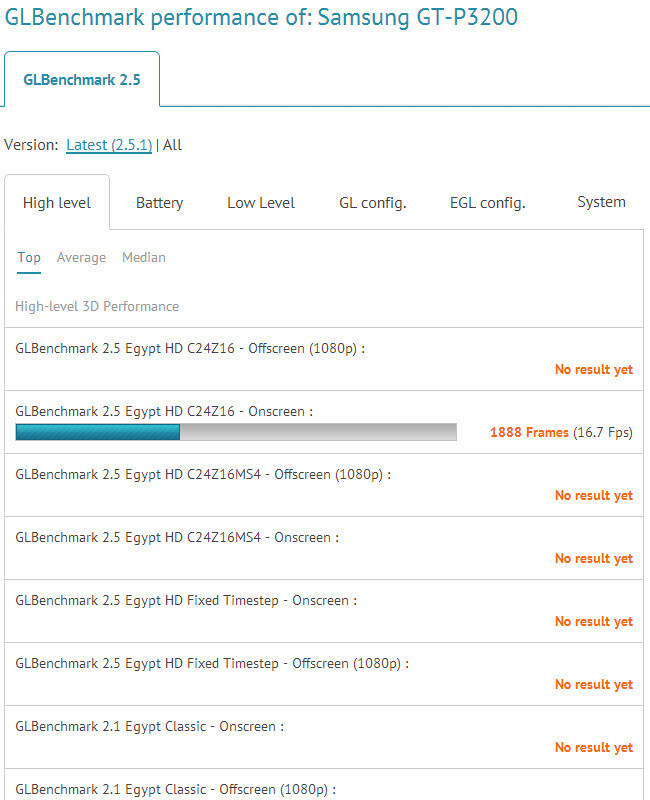 The Samsung GT-P3200 has been spotted on the GLBenchmark database, and as it usually happens in such cases, some of its more interesting hardware features have been revealed. To start, the display is listed as having a resolution of 1280 by 800 pixels, which is perfectly acceptable for a 7-inch tablet. To put that figure into perspective, that's as many pixels a Google Nexus 7 has to offer. Previous leaks were hinting at a 1024 by 600 pixel display, but those could be wrong since GLBenchmark results are actually quite reliable as far as reporting display resolution. 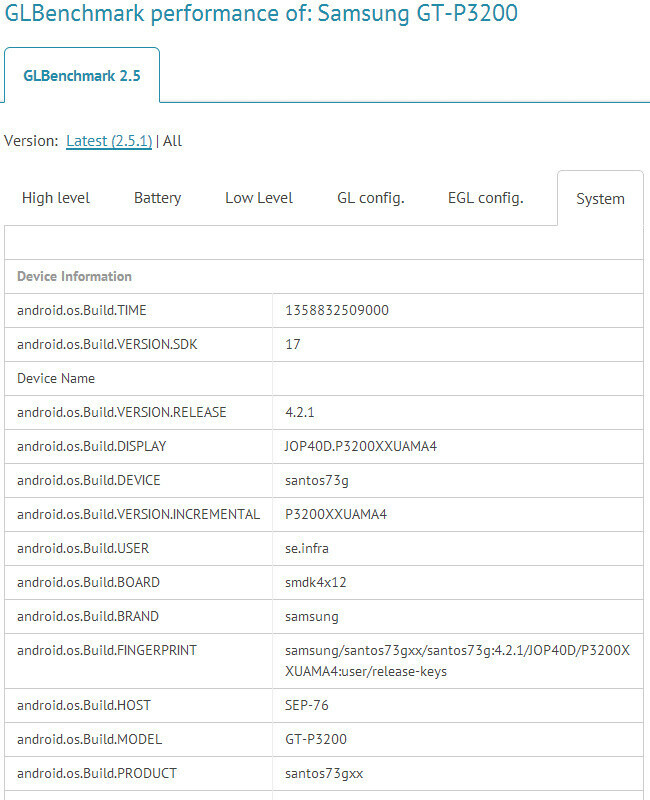 The SoC handling all computations is listed as SMDK4x12, which doesn't ring any bells at first, but after some investigation we found out that an Exynos-powered Galaxy S III returns the same data when benchmarked. 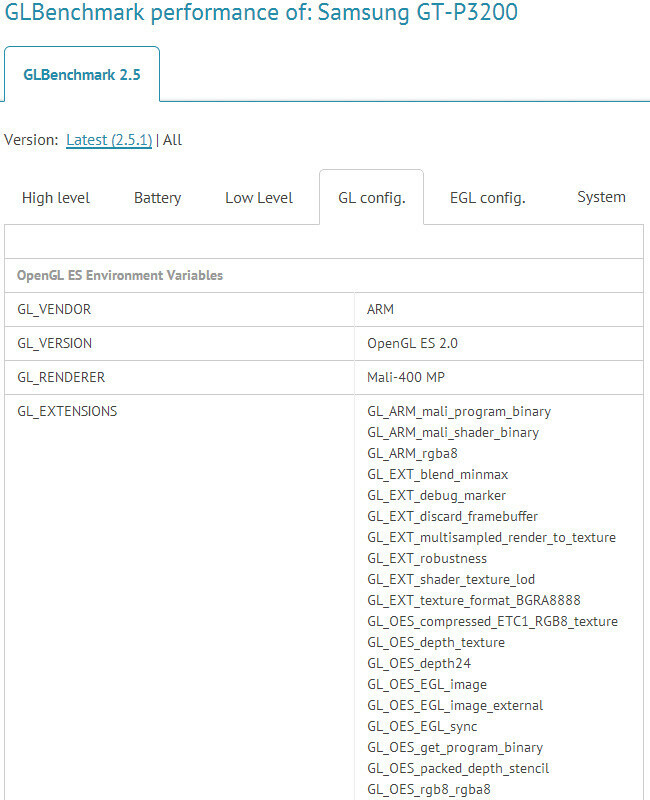 Therefore, we can assume that the 7-inch Samsung Galaxy Tab 3 will have an either dual- or quad-core Exynos system-on-a-chip. And that's nothing to complain about – Samsung's silicon sure packs a punch. As far as processor clock speed goes, 1,5GHz is reported to be its maximum frequency. A Mali-400 MP graphics unit is also present. We hope to learn more about the Samsung Galaxy Tab 3 7.0 over the next few weeks, even though the device could have been cancelled. If the tablet is really meant to see the light of day, we should be given the chance to check it out during Mobile World Congress in Barcelona. 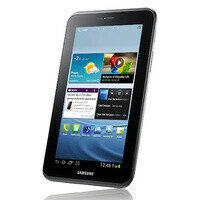 Another tablet to look forward this year... nexus, samsung, asus, sony, apple.... YEAR OF THE TABLET!! I think 7in is the best tablet size, small enough to fit in my pockets or a lady's handbag. And this 7in tablet sounds better than perfect for a low cost solution. Please....these major players need to STOP making 1024 pixel screens....Chinese brands like Ainol and Pipo sell their 7 inches with 1280 ips at dirtcheap prices....my Pipo U1 pro which rretails at around $150 has a score of 13,200 with Antutu.